Hi everyone! I've been reading Deborah Malone's, Buckhead Dead. This is a cute book about a well meaning wife and her friend who are interior decorators. They work with a "greater than thou" type elderly client who ends up murdered right after a get together at her home where she was showing off some new pieces and decor by the duo of Skye Southerland and Honey Truelove. One bad choice after another causes the two ladies to become suspects. This sends the two on a hunt for the real murderer and lost treasure! Skye Southerland and Honey Truelove have just finished an interior design job for Sylvia Landmark, one of Buckhead’s most eccentric characters, and their designs are to die for. After a celebration at Sylvia’s home where they reveal the new décor, including a desk with a possible link to the pirate Blackbeard, Sylvia turns up dead, leaving the ladies wondering if this desk is worth more than they bargained for. Skye and Honey are now suspects in the murder of a woman who had few friends, and plenty of possible enemies. In an attempt to clear their names, Skye, Honey, and Honey’s loveable cousin Ginger embark on a journey to find the real killer, figure out the real history behind the desk, and clear their names before they end up going to jail, or even worse becoming the next victims! With plenty of warnings from Skye’s husband Mitch, and the ruggedly handsome Detective Montaine assigned to Sylvia’s case, these girls still manage to get right in the middle of the investigation, while having time to enjoy all that Georgia has to offer. Ok, I have to be completely honest. While this was an easy read, it was almost borderline cheesy. No one in their right mind would make the decisions these two made, and I had a hard time getting beyond that though. Skye's husband owns a furniture shop and has this vintage desk. She's notorious for "borrowing" pieces from his warehouse and then taking them back if the clients don't like them, and usually it's no problem expect her husband has a client who wants a specific desk that she used in a job. A job where the client was murdered in her own home just after revealing the desk and new decor. The night before she was murdered, Honey Truelove weaves an intricate tale over the desk, saying it belonged to pirates. The duo, upon realizing Skye's husband needs the desk, decide they are going to break into a crime scene....that involved murder....and take back the desk. It's not stealing, right? At least that's their stance. This action, along with them taking it upon themselves to question other suspects, cause them to be suspects. They go on a wild goose chase after they bust the desk while recovering it and find a map. Long story short, Honey charms and flirts her way with the lead investigator, they go on a treasure hunt and become detectives while trying to clear their name. It's a cute story, but one that is hard for me to really get into and believe because I can't even begin to imagine someone so clueless as to break into a murder crime scene to take back a desk instead of just talking to their husband and explaining the situation in the first place! Deborah Malone’s first novel Death in Dahlonega, finaled in the American Christian Fiction Writer’s Category Five writing contest! Deborah was nominated for 2011 and 2012 Georgia Author of the Year in Novel category. She has worked as a freelance writer and photographer, for the historic magazine “Georgia Backroads” since 2001. 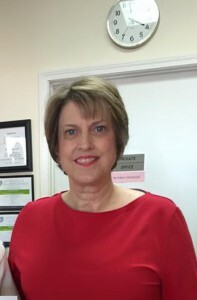 She has had many articles and photographs published, and her writing is featured in “Tales of the Rails,” edited by Olin Jackson, as well as the “Christian Communicator.” She is a member of the Georgia Writer’s Association, Advanced Writers and Speaker’s Association and the American Christian Fiction Writers. Pack your suitcase and come take a little journey with me. Let’s start at the beginning. I believe I came out of the womb with a book in my hands. I can’t remember a time when I didn’t love to read. I can still remember the smell of the library in my elementary school. I don’t know if it was dust or mildew, but I associated it with books. I loved that smell! When I got a little older my friend introduced me to the library downtown. I thought I’d died and gone to heaven. Book heaven that is! I think I read every mystery in the young adult section. I know many of you will remember Nancy Drew and Trixie Beldon (then there will be others scratching your head). My main character, Trixie, in the Trixie Montgomery Cozy Mystery Series is named after Trixie Beldon. When I was growing up my mother had severe Rheumatoid Arthritis and required a lot of help from me. I would read my books to take me away from all the responsibility for a while. Looking back I believe my mother realized how important books were to me because she always made sure I had plenty to read. I married at nineteen and had two girls over the next few years. My youngest daughter became very ill leaving her seriously disabled and requiring around the clock care. So I stayed busy raising my girls. In 1999 I went through a divorce and Niki and I moved in with my dad. I would take care of both of them for the next 10 years until my dad moved into assisted living. During those years I started writing, and this like reading would take me away from the tremendous responsibility for a little while. I worked on my first book off and on for the next ten years. Then one day I learned about the on-line writer’s group, American Christian Fiction Writers. I knew I wanted to write my book as Christian fiction, but didn’t know how. I learned everything I could about the craft of writing (and still learning) and rewrote my first book, Death in Dahlonega, as a Christian cozy. This doesn’t mean that it is a preachy or judgmental book, but one that is just good clean fun. I hope I can make my readers laugh a little and take them away from their stress for a minute. My first book, Death in Dahlonega, was published in 2011 by Lamp Post Publishing of California. There are now four books in the Trixie Montgomery Cozy Mystery Series. 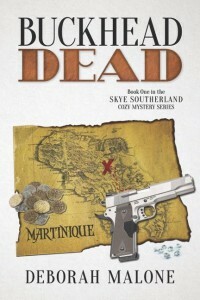 My latest book is, Buckhead Dead, the first book in the new series, Skye Southerland Cozy Mystery Series. I am working on the second book in the series, Decatur Dead. One thing that is unique about my books is that even though they are fiction all of the settings are real. If you knew the area you’d recognize the buildings, roads, restaurants, etc. But you don’t have to be familiar with the area to enjoy the book. It is just icing on the cake. A fun thing about my book, Buckhead Dead, (an affluent suburb of Atlanta) is that one of the main characters, Honey Truelove, wears Merle Norman Romance Red Lipstick. I had a book signing the other day at a nearby Merle Norman and we had a ball. It was like having a great big girl party. I’ve had a lot of good feedback from those that have read, Buckhead Dead. I am now wearing Honey’s signature color, Romance Red, and really like it. I didn’t think I could wear red lipstick, but I’ve had a lot of compliments on it. I’m looking forward to finishing the next two books in the series to see what kind of adventures the girls, Skye, Honey and Ginger take us on. I hope that you will take that journey with them, too, and that you’ve enjoyed going on a little journey down memory lane with me. April 11: Books! Books! Books!